Imagine your hands are soaked in paint or are too wet to operate your phone. It is urgent to receive the call, as it is your boss calling. You neither want to upset your boss nor damage your phone! What do you do? Well, evolution is the key in the world of technology. From a basic button-based cell phone to a touchscreen phone to the now evolving and in-force voice-based technology experience, we have seen it all. Your voice can help you keep both your job and your phone safe! VUI or Voice User Interface is a technology that allows users of computers, mobile phones or other devices to use voice as an input. Remember, the imaginary Star Trek computer? VUI is exactly the technique that has helped in making such experiences a reality. Amazon’s voice service and, Amazon Echo are all examples of VUI. Any evolved technology can be termed useful when it saves some of the most critical things – Energy, Time, Money etc. In this context, our parameter is time. VUI offers faster and easier ways of doing things. Voice is the next big technology! Products like the Amazon Echo Dot or Google Home primarily use the Voice User Interface. Apple’s Siri interface is also an example of a voice user interface that coexists with a graphical user interface. Now that we have had a look at what a voice user interface is, the next obvious question that arises is, what all can we do with Voice Commands (VC)? How does it help the user, so that they make the paradigm shift from touch-based input to a voice-based? Let’s start chronologically. You can wake up along with your sleeping phone with a VC. What does this mean? In simple terms, the moment you wake up and give your phone a command it would unlock. A basic functionality of VC is to help convert to text what we speak through our voice. Thus, if we want to chat with someone or even do a google search, this can all be done through VC. 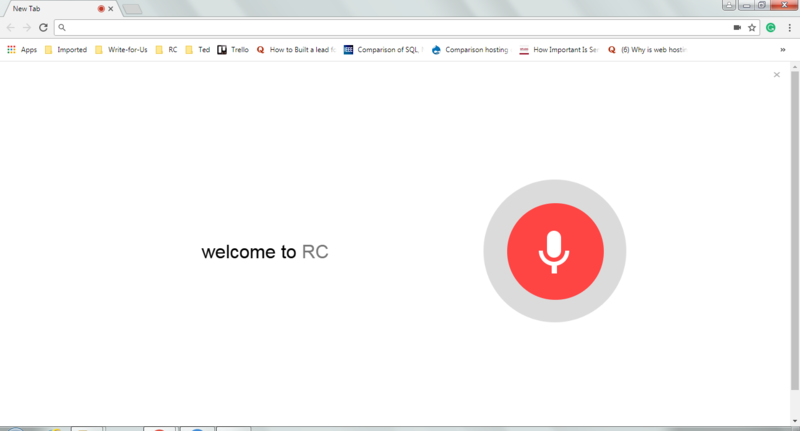 In fact, this is now possible with Google, as the input can be in the form of voice search. Ah! That seems to be a great respite for all the selfie lovers. Command your phone and it obliges with a beautiful selfie. The same applies to videos or pictures. Voice Commands can be used for turning on and off various features viz. Bluetooth, Wifi, speakers or even other devices as in, smart devices in smart homes. This becomes very helpful when users are on the go. Voice helps do both – searching for the location and giving directions. GPS systems and Google Maps have already embedded this feature to guide users. Setting alarms or snoozing it off both can be done with your eyes closed. Oops! did we just ask you to oversleep? VUI is also being used in televisions where dependence on remotes has been minimized. Gone will be the days when we need to take care of the remote or save them from children spilling milk over it! Voice-based instructions will help change channels or even turn on or off the television. We have looked at the advantages of having a VUI system from the perspective of a consumer. As a web designer, it is your job to turn such fantasies into reality. After all, any interface should be designed keeping in view users’ expectations – both realistic and unrealistic. Information is important. But what’s more important is how we use and present the said information. Are we disseminating information at the right time to the right people? The focus of a good VUI system should be to make the consumer aware of all that’s in store for them. For this, navigation and user guides should be simple and easy to follow. A complicated UI will hamper the user experience instead of enhancing it. Demonstration through example is very important in any app or technology. Hence one must have demonstrable examples while building a VUI. This is crucial as we humans usually don’t type the way we talk. This might end up creating comprehension issues for the VUI. While designing take care that the system (AI) understands and is able to interpret natural speech. Also, have demonstration videos for users to make them understand how the VUI functions. Minimalism in web design is an important aspect of UX. This is so because users love interfaces which have less information but rich material. Having a clear interface with more content-rich features is very important. In a text-based interface, minimalism can be of secondary concern. However, voice clutter will only add to the mess and hence, minimalist approach is encouraged. The flow of the application is very important. When designing a VUI system try to keep the flow as simple as possible. A complicated navigation might drive the user away. Another thing to keep in mind is keeping the users informed of all possible interactions. Thus, if your user asks something to the VUI of which it doesn’t have an answer, instead of saying a ‘No’, design the VUI in a manner where it asks the user to repeat or rephrase the sentence. Lastly, support is one feature that is fundamental to any product. However, with VUI being a relatively new technology an effective support function will be very much necessary. This, in turn, could increase the productivity of your VUI. In case, users don’t understand something instead of abandoning the system, they would first turn to support. If the support provided is good, the user will continue to use your system. This would ultimately result in better business prospects for your system. This is the end goal of your VUI application. Take note that the user is able to navigate and understand the app easily. Also, the VUI is able to interpret the speech of the user irrespective of their tone or the words used. Build the app in such a way, that the user is satisfied and feels like this is far more beneficial than the regular text-based applications. As a designer, you need to focus on the proper flow of how the VUI performs. Also, just like empathy is important in a web design, using Machine Learning you can include empathy in VUI. This would help the app understands the user better. This would result in a more meaningful and real-time app. To sum it all up, even though a Voice User Interface (VUI) is not exactly a conversational UI system, it can be said to be modelled along the same lines. Designing a VUI is not a complicated task when minute things like deciding the flow and functioning are taken care of. Also, should you wish, you can make use of Alexa’s VUI Testing Tool to test your VUI before building it. Have you ever designed a VUI app? If yes, do let us know if you faced any difficulties or share a few tips with us in the comments section below.